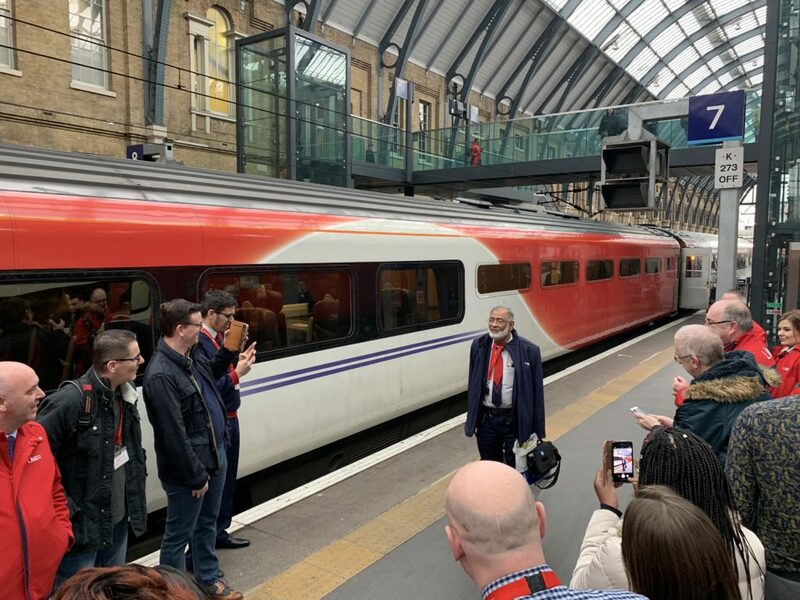 LNER staff marked the end of an era on March 20 when train manager Osman Khatri, 69, bowed out after 43 years on the railway. Osman and his brother arrived in England from the former British protectorate Aden – modern day Yemen – on November 9, 1975 in search of a better life. Conditions “weren’t very good” in his divided home country, said Osman in an interview with RailStaff, but, as Aden was a former British colony, Osman held a British passport and was able to move to England after completing his studies in Pakistan. During a trip to the capital, Osman spotted a job advert for a train guard at King’s Cross station. He hopped off the bus he was travelling on, applied for the post and was offered the job, starting work on just his second day in the country. From British Rail to GNER, National Express East Coast, East Cost, Virgin Trains East Coast and now LNER, there have been many train companies on the InterCity East Coast route over the years. Although his job title may have also changed as many times, one constant has been Osman, who has always been based at King’s Cross depot. He has seen major changes to the station, its platforms and booking offices, so it was fitting that he also celebrated his final day with colleagues and senior management with a send off at King’s Cross too. Osman can look back proudly on his career. He was the first manager to work a HST, Mark 4 and White Rose train service on the East Coast main line and hasn’t ruled out the idea of returning to be the first train manager to work an Azuma if the opportunity arises. He also recalls preventing a potential disaster in the 1980s near Grove Road in Retford when he prompted a driver to perform an emergency stop after feeling a train derail. As it happens, safety is the area in which Osman has seen the most change in the industry since the 1970s. Reflecting on his career, Osman added: “If you love the job, if you love the work, the work will love you, and that is what has happened. I have loved this job. Osman and his wife were planning a trip to the city of Mecca in the weeks after his retirement. On his return he said he was planning to turn his attention to his four kids, 14 grandchildren and 4.5 acres of garden.